The Economic Partnership Agreement (EPA) opens up and enhances trade between the Europe Union (EU) and CARIFORUM Member States (i.e. Antigua and Barbuda, The Bahamas, Barbados, Belize, Dominica, The Dominican Republic, Grenada, Guyana, Haiti, Jamaica, Saint Kitts and Nevis, Saint Lucia, Saint Vincent and the Grenadines, Suriname, and Trinidad and Tobago) by providing market access to a wide range of products and services. This improves the way products and services are imported and exported to and from The Bahamas and facilitates ease of doing business. 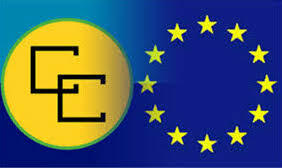 The EU reduces tariff duties on exports from CARIFORUM to zero over a 25 year period. CARIFORUM and the EU provide greater market access to countries signed onto the EPA. Access high-quality European goods and services at lower prices while reducing costs. Expand employment and business opportunities. Develop exports in services and a wide range of goods to optimize your geographic footprint and increase your profitability. Leverage opportunities to invest in technology, process improvements, and innovation through resource optimization. Drive consistency and best practices across business operational models through the application of quality and standards as a part of EPA requirements. Deliver strong financial results and remain financially sound. Operate to the highest standards of business ethics while remaining compliant with all laws including, and not limited to Intellectual Property legislation. The Agreement prescribes the rules to govern the trade relationship between signatory countries taking into account the level of development of CARIFORUM states, as well as the impact of liberalization on their economies by including asymmetric provisions throughout the Agreement, the most notable are in trade in goods and services and technical cooperation. The EPA is a unique trade agreement in that it explicitly recognizes the development objectives, needs, and interests of the CARIFORUM region. This comprehensive approach is what constitutes the development dimension of the EPA and all the provisions of the EPA are designed to support it. The market access schedule of commitments, which is annexed to the EPA, outlines those areas in which concessions and exemptions will be granted for CARIFORUM and EU goods and services. The Bahamas’ services commitment were completed and initialed in January 2010 and formally annexed to the EPA in October 2012. CARIFORUM and EU countries also made commitments allowing for varying degrees of market access to service suppliers from each party to the EPA. The services sectors liberalized were determined by each respective country. With so much of the Bahamian GDP originating from the services sectors (predominantly tourism and financial services), the access available for Bahamian service suppliers was crucial. The text of the EPA not only covers trade in goods and services, but also the rules on, Intellectual Property, Trade Facilitation, Agriculture and Fisheries, Financial Services Competition, Investment, the Environment and Public Procurement, to which members of CARIFORUM and the EU must adhere. The need for adherence to the obligations of the Agreement has initiated one of the less obvious benefits of the EPA, the modernization of Bahamian legislation. The enactment of the Tariff Act on July 1, 2013, brought The Bahamas in line with its tariff reduction obligations under the EPA, including automatic tariff cuts every two (2) years. The enactment of the Customs Management Act on July 1, 2013, introduced modern best customs practices within the Customs Department in line with the World Customs Organisation (WCO). A compendium of Intellectual Property legislation including amendments to the Copyright Act was enacted in October 2015. Presently the Government is drafting Regulations to accompany the enacted Intellectual Property legislation. The establishment of the Bahamas Bureau of Standards and Quality (BBSQ) in May 2015 further assisted The Bahamas in meeting its obligations under the EPA and other international trade obligations as the BBSQ is mandated to establish & maintain standards for all goods, services, practices, and processes to protect the health and safety of Bahamians, safeguard the environment and enhance the economy. New Sanitary and Phytosanitary legislation were also enacted in 2016. The Bahamas is presently reviewing its Competition regime, and Competition Policy Legislation was drafted in mid-2018. The Trade & Industry Unit within the Ministry of Financial Services serves as the National EPA Implementation Unit, to coordinate EPA matters and streamline the EPA Implementation process. Please contact us for additional information.